One of the great privileges of my job is that I get to participate on graduate student committees. This allows me to get up close and personal with data from a variety of sub-disciplines of biology that sometimes extend far from those of my particular expertise. You know by now that I carry a particular fondness for fossils and the stories they tell. So participation on a committee that allows me to get an up-close look at research on fossils, it is a really good day. Recently* I had one of those days as a participated in a doctoral dissertation defense. These are typically two to four-hour affairs in which we explore every nook and cranny of a research project. Although PhD defenses can be difficult at times, more often than not they are a fun exploration and appreciation of the details and broader implications of several years of a doctoral students work. During these stimulating intellectual adventures I get to inspect the data that lie behind the figures and tables, evaluate the methods used to collect that data and explore the validity of the conclusions drawn from that data. In this particular defense I got to ask questions about dissertation chapters which reported the results of experiments with taphonomy – the study of how fossilization occurs – and details of measurements made of thousands of fossil clam shrimp – the organism at the center of this students study. A clam shrimp. This has a nearly clear carapace (the clam shells) and has a large number of eggs in its brood pouch over its back. What is a clam shrimp? Clam shrimp are not clams but rather a small filter-feeding crustacean that produces a protective bivalved carapace that look like a clam shell. There are more than 100 species of clam shrimp alive today. All of them are very small (3 to 15 millimeters in size), live in freshwater pools and have very short lifespans (a week up to two months). Most make a living in small temporary (ephemeral) pools. These could be depressions in a field, a rut on the side of the road, or shallow depressions on rock outcrops in a desert. Essentially anywhere water will collect for weeks to months every year or every few years you will probably find clam shrimp. Rock pools in deserts may be dry as a bone and be 120 degrees in the summer but add some water and a week later they will be teaming with clam shrimp and other small organisms. How do these animals suddenly appear in these pools? These organisms have a life cycle that is well adapted to these extreme environments. These crustaceans lay fertilized eggs at the bottom of the pool as it is drying out. The adults die in mass but the eggs can survive in a desiccated state for months, years or even decades. My colleague has collected bone-dry soil from rock outcrops around the world and stored that soil in Ziploc bags for more than 15 years. It is really amazing to see a cup of this soil added to a tank of water and then 4 days later find hundreds of little clam shrimp swimming around in the tank. The eggs are just waiting for the next significant rainfall to fill the pools so they can hatch. Once they hatch they will molt several times and become adults within a week at which time they are able to produce a new round of eggs before the pond dries out once again. Do fossils of clam shrimp exist in the geological column? Yes and lots of them! We tend to get caught up with dinosaur bones, fish skeletons or plant remains when we think of fossils but the vast majority of fossils are of aquatic shelled organisms. There are some that are quite large like the scallop that I have presented in the past but most are very small like this clam shrimp and are found by the billions. The fossil record of clam shrimp is extensive and deep. It stretches all the way back to the Devonian period (350 to 400 million years old). When fossils are found their carapaces are found in great abundance. However, they are not ubiquitous in the fossil record. 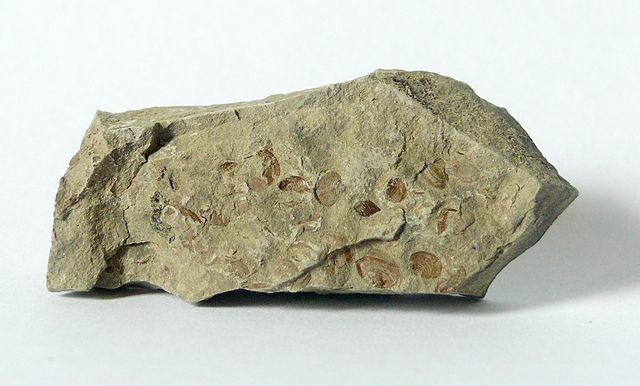 Rather clam shrimp fossils are found almost exclusively in rock that has formed in a terrestrial context rather than in the ocean. The plants and other animals found fossilized with these clam shrimp tell us that the clam shrimp lived in a shallow freshwater pools rather than in the ocean. This is just the type of places they are found today. During the dissertation defense I asked a number of questions about how these clam shrimp carapaces could have been preserved including whether these carapaces had been preserved in the place they were produced (eg. 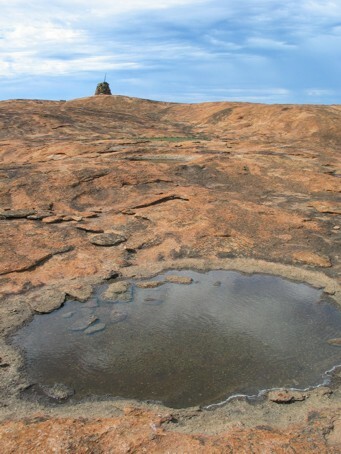 a small pool or wetland) or if there were indications that they had been transported over long distances before reaching their final destination in the fossil record. He said that his observations of the fossils strongly suggest that most were preserved in the setting where they had lived rather than being transported prior to preservation. A Global Flood origin: An alternative explanation for clam shrimp fossils? After the defense I asked our newly minted PhD if he could construct a scenario in which a vast global flood occurring not long ago could account for the fossils with which he was familiar. It probably won’t surprise you that he could not imagine any way to explain the fossils and the context they are found within a recent global flood scenario. There are several reasons why a global flood isn’t a viable alternative in light of these fossils. 1) Patchy distribution: While the fossils are abundant and found in a large portion of the geological column, in general they are found in dense patches. How would a global flood pick up billions of clam shrimp and then deposit them in dense clumps? How could they come to rest looking like they has just fallen gently to the bottom of a pool? The fossils look much like the scattered carapaces found in a placid pool today. 2) Fossil species are ordered: There are 300 named fossil species and those species are not found randomly in the fossil record. There are size and shape differences between clam shrimp species but size and shape do not follow a pattern vertically in the geological record. Creationist’ Flood Geology theory predicts that billions of shells would all be mixed up in the first stages of a flood and then get sorted out into layers. But how do they get sorted into species where some time layers of rock have both small and large species together? Further more why are there slightly different species (morphologies) as one moves up the geological column? 3) Unique to freshwater ecosystems: Most of the worlds sedimentary rock is formed in shallow oceans but clam shrimp are not found here even though they would be easily preserved in all layers of rock in a global flood. Creationist flood geology already has huge problems with the evidence of rock formed in freshwater lake systems and here we see a specific example. Clam shrimp are preserved with other organisms that are indicative of freshwater systems. How does a freshwater lake system get preserved in the middle of a 20,000 foot column of rock layers supposedly all laid down in a few months in the middle of a global flood? Until creationists can come up with an even remotely plausible scenario for the details in the fossil record observed by people like this student they should not be expected to be taken seriously. They claim that a global flood is a better explanation for the observed data. However, their claims about the fossil record don’t mean much to anyone that has experience with it. A viable hypothesis has to be able to accommodate new data that are being generated each and every day. An ancient Earth with a dynamically evolving land surface can easily accommodate all the characteristics observed in these clam shrimp fossils. Figure 2 from the publication listed and linked to below.Limnadia badia female (1) and male (2). Carapace dimorphism prominent on dorsal margin associated with presence/absence of brood chamber. Limnadopsis occidentalis female (3) and male (4) displaying similar carapace dimorphism to that seen in L. badia, despite gross morphologic difference. Female (5) and male (6) Cyzicus mexicanus. The dimorphism in Cyzicus is more subtle than that seen within the Limnadiidae, the female (5) being slightly more elongate with a flattened postero-ventral margin. ‘Female’ morphotype (7) and ‘male’ morphotype (8) of Carapacestheria disgragaris. All scale bars equal 1 mm. Very interesting post. As a young earth advocate, I’ll admit that I can’t explain your observations (although I’ll certainly put some thought into it). However, I find it a little unreasonable for you to say that “Until creationists can come up with an even remotely plausible scenario for the details in the fossil record observed by people like this student they should not expected [sic] to be taken seriously.” Unexpected phenomena are replete in every facet of science. They are not disqualifying factors necessarily and should not cause such rapid dismissal of an honest scientific model. Otherwise I would contend that the theory of evolution on the macro scale warrants full dismissal until it can reconcile its own myriad problems. I’ve mentioned on this blog a number of high profile problems (from other main stream scientists, not creationists) for macro-evolutionary theory that exist in the same fossil record you expect creationists to explain (e.g. stasis where Darwin predicted gradual change; leaps of biological form with no apparent transitions, etc). These are problems with the very foundation of evolutionary theory, still science bears with it, asserting confidently that more experiments will uncover the answer. Yet you discredit creationism because it hasn’t yet explained the geological distribution of clam shrimp. The question is, are you bringing these issues to light to help guide creationists to the research topics you find most important, or are you discounting their model all together because of currently unexplained phenomena? The problem with the young-earth/flood geology model (other than the fact that it is demonstrably wrong in every facet, one of which is illustrated in this article) is that the established discoveries of the age of the earth and life’s history on it very much do expect these results. The most logical reason why it looks like these freshwater animals died in environments similar to the ones they inhabit today is *because they did*. There are results one would expect from a worldwide flood ~4,500 years ago, and without fail, those are not the observed results. In any other circumstance, you would surely agree that a set of expectations which were all falsified by observation should be discarded as incorrect. All this adds up to the inescapable conclusion that YEC is decidedly *not* an “honest scientific model”. An honest scientific model asks a question/formulates a hypothesis, designs an experiment that could be used to falsify the hypothesis, then, if the experiment is conducted properly (which is usually determined by other scientists uninvolved in the original experiment, to avoid bias) accepts the results until and unless a subsequent, more robust experiment reveals different findings. The YEC model, on the other hand, imposes a modern western mindset on ancient near-eastern scripture, selectively “literally” interpreting part of it (ignoring, for example, the sun and moon set into the face of the solid sky which holds back the infinite cosmic waters above, the fact that Adam (“Human”) was created both after (Gen. 1) and before (Gen. 2) plants and animals or that, since marine mammals like whales, seals and manatees breathe air, they too would have to have been on the ark according to Gen. 6:17), then trying to find any evidence at all to support their claims, and since that is in short supply, try instead to discredit well-established and well-evidenced claims from those who actually practice science. If you, like me, call yourself a Christian, but then attach to faith in Christ things which are known to be false, you will incur the judgment of God against those who “cause one of these little ones to stumble”. Perhaps, instead of merely referring to “myriad problems” (which, for some reason, practicing biologists like Joel (the Natural Historian) don’t seem to believe exist), you should actually examine some of them. Consider a specific claim which you believe to be false, examine it in its own right (not as caricatured by AiG/ICR/CMI/etc.) and determine why it is unlikely to be true. Be specific. I and others would be more than happy to engage you in discussion on such topics if you are genuinely interested in better understanding that which you claim to oppose. Hey Datadroid, I’m certainly always interested in engaging with people and learning more about this topic. That’s why I hang around this blog. But there are some assumptions that are implicit in your response that make it challenging for equitable discussion. First, you assume that I haven’t examined any of the problems to which I referred. Second, by referring to “practicing biologists” you seem to have precluded the possibility that I’m trained in biology myself. Third, based on the creationist organizations you listed, you assume I don’t think for myself. Finally, you see the debate in absolute, reductionist terms in which one side is perfectly right with no competing evidence, and the other side is completely wrong without a single piece of supporting evidence, with the added assertion that those in disagreement with your perspective will incur the wrath of God (I had to chuckle at that one a little). Let me just dispel a few of those assumptions and lay out a scenario in which I think we could have some fruitful conversation. I’ve spent years now reading the perspectives of both creationist and mainstream theologians/biologists on the origins debate. I’m conversant on the issues from both sides. I find good and bad arguments on both sides, but I’m most convinced by the YEC perspective when considering all aspects. I’m also trained in biology at the graduate level, so I don’t offer opinions from ignorance (well not complete ignorance anyway). I distance myself to some degree from many of the high profile organizations and philosophers of creationism because I’m not comfortable with their methodology and perspectives; so I’m not just parroting their views but rather making my own assessments based on the broader field. If you would like to continue conversing, I’m happy to; but I ask that you keep the above points in mind so that we can bypass uninformed assumptions that distract from the conversation at hand. You may also want go back to Joel’s recent blog posts and read some of my comments. I’ve spent a great deal of time discussing my perspectives on macro-evolution’s methodology and epistemology. The specifics that you called for above are readily available. I hope we can have some enlightening discussion on these topics. Regards. This is my view. There is not a single piece of supporting evidence to suggest that the earth is ~6,000 years old and that a worldwide flood occurred ~4,500 years ago, and the reason evolution and geological time are asserted to be fact by scientists in those fields is because it is the only reasonable conclusion when examining the evidence of the natural world. If you disagree with this assertion, please provide some evidence which would falsify it. Chuckle or don’t, but if evolution is fact (and all the available evidence shows that it is) and believers claim that a demonstrable falsehood (the YEC position) is an important, if not inextricable part of belief in Christ, they will (and have) cause people to turn away from Christ, or never turn toward Him in the first place. My brother is one such example. Upon learning that the YEC dogma that we’d grown up with was false in its every claim, he decided to give up on faith entirely. I myself have only been hanging on by a thread, as precious few Christians in the US will even take me seriously if I start suggesting that the accounts of Genesis might be something other than a journalistic account of material origins. Please provide one or two examples of logically and factually sound arguments from the YEC side. I contend that you will find none. If we’re to discuss this in depth, let’s keep each reply to one or two topics. For example, let’s start with my earlier assertion that YEC does not represent an honest scientific method, since they seek only to prop up a pre-existing conclusion, or cast doubt on any other conclusion, rather than honestly make inquiry and discovery. If you disagree with this statement, please provide evidence that they actually do follow the scientific method. Whoops, I wrote “incorrect” instead of “correct”. I was going to make a different point, but realized too late that I’d gone in a different direction. Datadroid, thanks for continuing the conversation. Before we start I want to say one thing that isn’t meant to be a contention, just a heartfelt comment. I’m sincerely saddened to hear about your brother’s faith, and I’m sympathetic to your own faith as well. Let me say that I’ve recently gone through a time of re-evaluation of the foundations of my own faith. I’ve questioned my beliefs on things such as the nature of scripture and its authority and, of course, my understanding of Genesis regarding the origins debate. I praise God that He renewed my faith in scripture and my belief in Christ, and I admit that my understanding of the origins debate, while not monumentally altered in my search for truth, has indeed been molded and softened to other perspectives. While I’m not ultimately convinced by the point of view that you alluded to regarding near-eastern cosmologies, I appreciate the scholarship done by theologians like John Collins and John Walton on the topic, and I leave open the possibility that they are correct. With all of that said, I’m sensitive to your journey and have no intention of wounding your faith. I’m interested in sharpening and being sharpened with the ultimate goal of glorifying Christ. I hope you feel that I take your position seriously; at least that will be my goal. Now to our discussion: I think we may have to do some work here to find the best place to launch. Based on some of your comments (i.e. “they seek only to prop up a pre-existing conclusion, or cast doubt on any other conclusion, rather than honestly make inquiry and discovery”), it seems that you may not appreciate my starting point. First, I don’t conclude a young earth based primarily on scientific evidence. I made that conclusion primarily on exegetical and hermeneutical grounds, and secondarily on scientific grounds. I maintain as I contended above that the flood geology model is “honest” in the sense that they have a hypothesis, and they are seeking evidence that either supports it or denies it; but I’m not trained in geology, chemistry, paleontology etc so I can’t expertly evaluate much of the evidence as well as I can in my own field. I’m a trained biologist, so I’m most in my element talking about concepts of biological evolution. But there again my foundation is first and foremost theological. As a result I don’t spend much time arguing *for* creation with the scientific method since I already accept it theologically. Mostly I argue *against* evolution with the scientific method. This seems to be what has frustrated you about the debate (i.e. only casting doubt). With all of that said, perhaps you could start by arguing a point or two that convinced you of biological evolution. I am willing to discuss flood geology and the age of the earth from a science perspective, we’ll just reach the limits of my expertise pretty quickly. Let me remind you again of why my brother left the faith and I’m sorely tempted to do so: we *learned* that the YEC arguments, both about scripture and about science, were false in every aspect. We were not looking for some other way or some “out” so we could leave Christianity by the wayside. It was slowly, grudgingly that we came to realize the truth, and the truth had nothing at all to do with the YEC position. This is not a case of disagreement over how to address a particular issue, such as left-wing vs. right-wing economics. It’s charlatans and sophists speaking from a position of unearned authority of things they either don’t know at all or know and deliberately misrepresent in order to set up a straw man argument against an otherwise unassailable position. It is not a matter of opinion, it is a matter of demonstrable fact. If you believe otherwise, you are as wrong as those who, on scriptural grounds, opposed Copernicus and Galileo at the end of the middle ages. Again, the you bring up the very reason why it is dishonest. YEC/Flood Geology never, *ever* seeks evidence that may deny their hypotheses. Even when they find it, such as ICR’s RATE project, they simply pretend that it’s not a problem for their model and proudly and pointlessly proclaim that their position is stronger than ever, all without ever coming up with new ideas or answering evidence with evidence. If you believe that the Bible definitively teaches that the earth is young, there are many, if not most, Biblical scholars who would disagree with you (including a little group you may have heard of known as The Gospel Coalition: http://blogs.thegospelcoalition.org/justintaylor/2015/01/28/biblical-reasons-to-doubt-the-creation-days-were-24-hour-periods/), but more importantly, far from being a point of faith in favor of the Bible, you are arguing that the Bible is definitively teaches falsehood, since literally all the evidence in the world (and off it, for that matter) adamantly and conclusively points to its great age. • Macro- and micro-level homology across extant organisms: On the macro level, you will never find a mammal with feathers, nor a bird with mammary glands, but you will find both with scales (take a close look at a rodent’s tail some time). You will never find a hexapodal or radially-symmetrical vertebrate, nor a bilaterally-symmetrical sea star (unless you want to count our last common ancestor with them). All tetrapods (non-fish vertebrates) have the same bone structure and arrangement inherited from our common tetrapod ancestor, and even most of the modern ray-finned fish bone structure is homologous to our own — their line just didn’t develop the limbs and such that we did. Furthermore, even when macro-level homology is not apparent (between, for example, Birds and Trees), molecular homology is still apparent, in that each organism shares certain genes with every other organism wit more similarity than necessary to establish “common design” or “common function”. Since different DNA codons can be synonymous for coding the same amino acid, all God would have had to do to show the fingerprint of creation would be to use different synonymous codons with the same amino acid in these homologous genes, just to prove that they’re designed. This is not the case, however. For further reading, check out http://www.bio.miami.edu/dana/160/160S13_5.html (it’s not a very pretty website, but it is succinct and informative). • Genetic phylogeny drawn from Transposable Elements (TEs), Endogeneous Retroviruses (ERVs) and Pseudogenes: Transposable elements are segments of DNA which do nothing but copy themselves to other parts of a strand of DNA, so they are essentially, even less “alive” than viruses. However, when they get copied, they sometimes do so incorrectly and get “stuck” in a particular locus in the genome. Once this happens in a germ cell (which makes sperm or egg gametes), all descendants of the organism in which this occurred will have the same randomly-placed transposable element in their genome. There are millions of such elements shared between humans, chimpanzees, bonobos, gorillas and orangutans (and only hundreds or thousands unique to each species), with correspondingly fewer identical and more unique with each respective species owing to the longer time of divergence (listed in order for your convenience). Since these lengths of DNA have no function other than to copy themselves, they are an excellent marker of inheritance (and argument against “designed” DNA). ERVs are the result of a viral insertion into the genome gone awry in a germ cell, where instead of infecting the host cell, it simply inserted into its genome and got stuck there. Just like with TEs, their insertion points on the genome are random (though they do “favor” certain areas, their specific loci of insertion is random), so if an ancestor had such an infection, it will invariably be passed on only to its descendants. Humans also share hundreds of thousands of these with chimpanzees, bonobos, gorillas and orangutans, again in descending order of similarity and increasing order of uniqueness. The likelihood hat any two would occupy the same locus on a genome of two unrelated species is (generously) around 1:10,000. The odds that another would occupy the same place goes up by another factor of 10,000, and so on for each identical insertion. This is to say nothing of the shared pattern of mutation within these ERVs (and before you ask, yes, their viral identity has been verified by extracting the ancestral viral sequence of a particular one that showed up no fewer than eight times and generating a functional virus) which also conforms to the established pattern of ancestry. Note that I have not mentioned anything about the fossil record. These observations can all be made in organisms today, with reproducible results. P.S. Sorry it took so long to get back to you. I didn’t have much access over the weekend and this post took a while to write. Datadroid, I’m sorry but you’ve not put forth any new arguments that haven’t already been dealt with extensively in a number of creationists books, articles other writings. And I’ve responded to a number of these arguments in detail on this very blog. I’m surprised to hear you use the phylogeny and homology arguments since I demonstrated extensively the circular nature of arguments for evolution using those techniques. Phylogenetics assumes the evolutionary paradigm before it even starts its analyses. Therefore it would be circular to suggest that it proves evolution. Also, when Joel used the pseudogene argument in a previous post I responded with a number of peer reviewed research papers demonstrating the identification of function for a number of pseudogenes; thus they are not nonfunction vestiges of a common ancestral gene. If you had read my previous comments as I suggested, you would have known this. Moreover you’ve supported your arguments with references to popular online articles, while I referred to peer reviewed text books and journal articles. I’m certainly not going to recant my position because of a link to national geographic. You spent the majority of your time educating me on codons and DNA elements, yet I have over 110 doctoral credits in genetics and molecular biology from an accredited research one university. I don’t say this to suggest that I’m smarter or above you in some way; only to point out that you don’t seem to make accurate assessments of the people you engage. As a result, most of your comments are not arguments but rather preaching to the choir. You said “If you believe otherwise, you are as wrong as those who, on scriptural grounds, opposed Copernicus and Galileo at the end of the middle ages.” First, you’ve misrepresented history. The church didn’t deny Galileo and heliocentricity because of their understanding of scripture per se. They biased their interpretation with their allegiance to Aristotelian philosophy which caused them to read science into scripture. Thus when Galileo corrected the Church’s exegesis, he was actually correcting its Aristotelian eisegesis. This is why I don’t bend the knee of my scriptural interpretations to the evolutionists or the progressive when they make their scientific pontifications. Second, your attitude of “if you disagree with me, you’re wrong” is unacceptable. If you aren’t open to listening and considering that you might be wrong, I don’t know that I’m interested in further conversation. My final comment starts with a question. Why do you keep threatening to leave the faith when you are so certain that you are right? Does everyone have to adopt your opinion before you can have faith in Christ? This is not an issue of salvation. It is a challenging, complex issue on which many intelligent people on both sides disagree. I hope you can come to a point very soon where you realize that your salvation (or mine for that matter) and your hope in Christ is not contingent on this debate. Hi Trevor, Sorry for not getting back to you earlier. I’ve not been able to be very attentive to the blog – even the clamshrimp post was a quick re-edit of a past post – since I am very busy with a new course this spring. Regarding your main question, I certainly wouldn’t expect that the fossil record of clamshrimp to be a nail in flood geology but offer it up as one of more than 50 such examples that I’ve written about over the years. I would stand by my claim that flood geology explains very little and thus cannot be expected to be taken seriously until it provides a framework that at least explains a good percentage of the data. Your examples of problems for the macro-evolution could be problems for evoltuionary biology but they are not problems with the fossil record in respect to the age of the earth. After all, progressive creationists would happily take your problems and claim that their theories of the history of life on Earth fit the fossil record and doesn’t require a young Earth. Progressive creationists can claim that gaps are the result of separate creations over time. The YEC flood geologists must explain the pattern without many changes in the Earth’s biosphere over time which is far more complicated. Now, I’m not so sure that the fossil record is a problem from modern evolution though it may be for Darwinist but evolutionary theory is not exactly Darwinism today. Lack of some transitions don’t seem surprising to me since I tend to think that model of stasis followed by environmental change and opening of new niches plays an important role in stimulating species creation. Also, genetic drift is probably an important player in many lineages but that will happen in small populations that are much less likely to result in fossil snapshots and thus be unlikely to reveal the changes occurring. So I don’t come to the fossil record with the same expectations that many may have in Darwin’s day. Regarding unexplained phenomena. Yes, there are always contrary data to nearly all theories. I suppose even cell theory has its exceptions but I don’t doubt you are made of cells even though I have never seen them. What should be frustrating to the flood geologists is that it doesn’t seem the problems with flood geology every become fewer in number because new discoveries suddenly bring new insight and clear up old problems. Rather new discoveries, like many I report on, only bring up yet another problem. The strength of a theory is found in its ability to provide an explanatory framework for new discoveries. 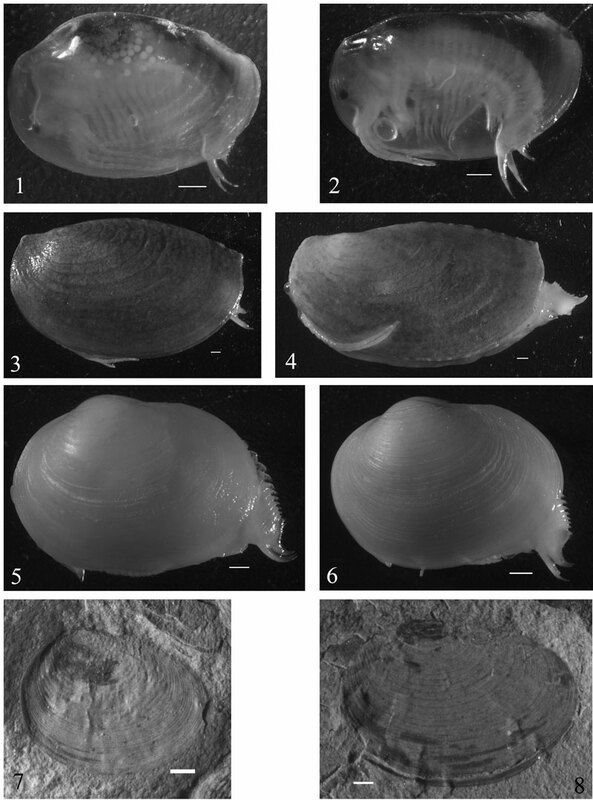 When clam shrimp fossils are investigated and it appears that they are all found preserved with other freshwater organisms in rock types that suggest similar habitats in which the organisms are found today, and old earth model of ancient habitats preserved in the past isn’t difficult to understand but the flood geology model would not predict that small “shells” like these would be distributed in this patchy way and in combination with other small fossils that are associated with them today. Now, maybe flood geology will find a way to accommodate the data but the fact it doesn’t fit the model naturally should be red flag that the model may not be very robust. Thanks for the reply. I don’t disagree with most of what you said, but really my concern in these comments is not the science at all. Its more the politics. I’m just wondering how genuine is the implication that more evidence is what would gain respect for the model, and if there is actually an amount of evidence that would satisfy the skeptics. Moreover, what expectation does the flood geology model have that its findings would be considered fairly and reasonably? I don’t suggest dishonesty in assessment of the model so much as I highlight the chasm that exists between perspectives when it comes to presuppositions, interpretations and epistemological requirements. And how reasonable are the expectations being placed on the model? For example you say it seems that the problems with the model never shrink. But is this really all that surprising considering the majority of people are looking for problems, while a minority of people are trying to solve them? Your comment that “they should not expected [sic] to be taken seriously” did not strike me as a map to being taken seriously so much as an attempt to point out its current status of rejection. I just wanted to cast that comment in a balanced light. Gerhold, I can’t explain your baltic amber example any more than I can explain Joel’s clam shrimp; but that’s not the point. The point is that there are plenty of examples raised by YECs and other secular scientists alike against the dogma of evolution (I alluded above to Gould’s punctuated equilibrium). I was interested in hearing Joel comment on why YEC models must be perfectly harmonized before they’re even considered while the theory of evolution is allowed to ignore contradictions or explore them indefinitely. 1)	These are freshwater creatures so we need freshwater to exist in pools on some landscape. 2)	We then need them buried. 3)	We then need to repeat this process X number of times to explain the fossil record. 1) Seeing as these creatures obviously existed prior to a deluge an initial community of freshwater clam shrimp is not a problem. 2) A 500 foot marine wave of sediment-laden water rushes to and fro over an existing landscape. It deposits, in some sorting mechanism, a layer or layers of sediment. It then retreats and the does not return for some time. Rain falls on the newly laid sediment and forms pools. 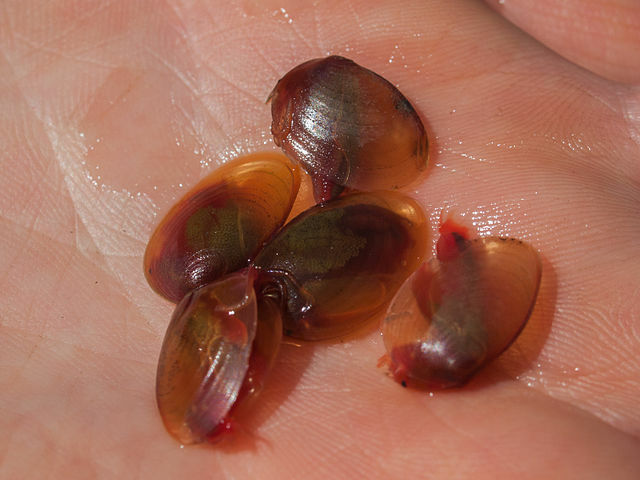 Some eggs of a previous freshwater clam shrimp community survive, hatch and live an indefinite time in these pools. 3) Another 500 foot marine wave of sediment-laden water arrives. The shrimp are buried and this cycle repeats itself throughout the flood. Does this explain what we find in the fossil record? Is this a viable solution? Is it even possible? Are there limiting factors? Is one year enough time to explain all the fossil layers of these creatures? How short is the life-cycle of a freshwater clam shrimp anyway? How mature are the fossils we find? 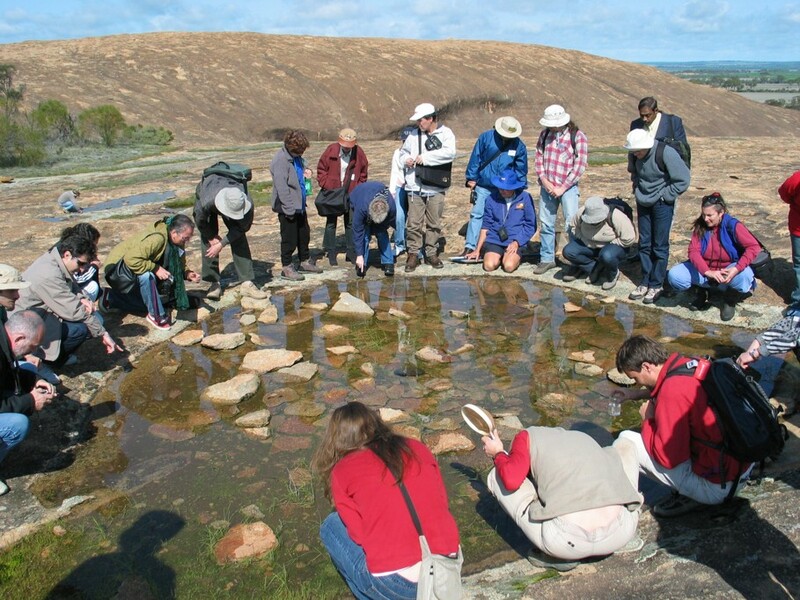 How many life-cycles are found in a typical fossilized pool? Is the flood-created landscape (saltwater deposited sediment) too harsh to allow these shrimp to survive? Would the landscape be too wet/muddy/soft to allow the fossilized pools to exist? 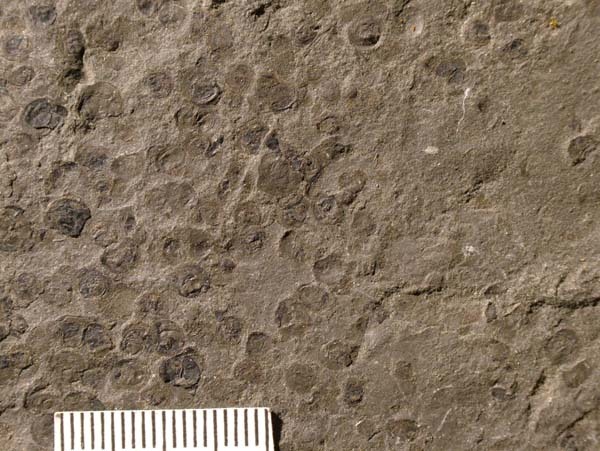 Were the fossil sediments containing these shrimp marine deposited? 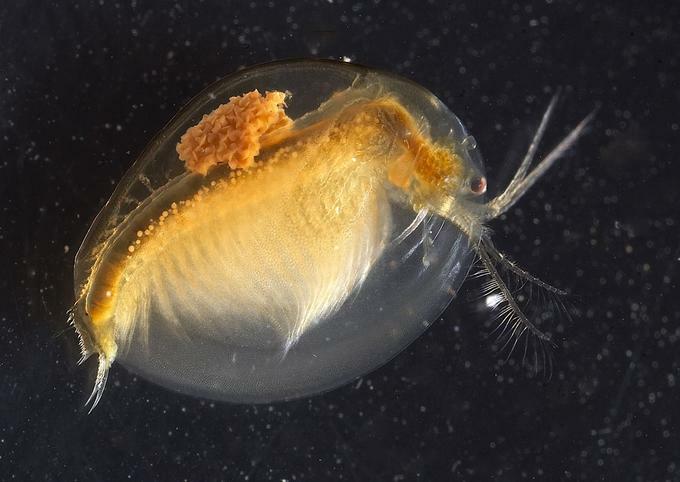 Can their eggs survive marine water conditions? Sometimes a possible explanation sounds good until ALL the limiting factors are considered. It took me all of a few minutes to dream up this explanation but does it stand up to rigorous scientific scrutiny? And is there simply enough time for it all to happen? Do the events even match the fossil record? I can’t answer these questions but I can easily push out possible explanations. Am I merely defending an idea no matter what evidence is marshalled against it (making it a wonderful conspiracy theory by the way) or am I letting the actual evidence point to a realistic solution? I depend on resources, like this site, to help me answer these hard but essential questions. Thanks for the work Joel. Very interesting. I’d love to hear people’s thoughts on this scenario. I think this summarizes the general approach taken by creation scientists and highlights its problems. If you’re not willing to make a case *for* creation, then I must conclude that creationism has no scientific contributions to make. If a theological belief with scientific consequences cannot hold up to scientific inquiry, surely that raises doubts about its veracity. Creationists seem to want the comfort of a scientific paradigm that supports their view, but they’re not willing to do the work to propose a testable scientific theory. And at some point, you have to wonder why that is. Is it because there *is* no viable theory that can even be articulated? Is it because creationists know deep down that their belief is scientifically indefensible, but they want to hold onto it anyway? Paul, I think you make some reasonable points here. I have a couple of thoughts though. First, I’m avoiding making a defense for creation because I’m not sure a unified model exits under which I can argue. I’m not comfortable enough with Ken Ham to jump onto his bandwagon, but I find it necessary to dialogue with his opponents like Joel to help balance the conversation. However, as I stated above, I do think that Flood Geology is an honest model albeit one that hasn’t answered many questions conclusively. Nonetheless I’m hesitant to defend it here because I don’t have expertise in the primary disciplines used to build it. Second, please don’t conflate *my* unwillingness in this forum to make a robust scientific defense of creation with the *general disposition* of the creationist movement. The creationist movement very much wants to put forth a unified model (and I want to see that happen as well) but currently (and this is my own conjecture), we just don’t have the manpower and resources necessary to build that model as quickly as some are requiring. Our ideas are not allowed in the universities, and they would be laughed out of any national scientific conference. Our side needs to figure out how to organize and fund a robust research program to support a plausible, unified model. Third, although I’d like to try, I’m not sure a case for creation can be made in a way that satisfies mainstream or progressive thinkers. Creation was a supernatural event. Therefore we are bound to have to theorize the existence of mechanisms of a miraculous nature which will instantly nullify the model’s acceptance in the mainstream. Finally, I do think it’s perfectly legitimate at this point to focus on demonstrating the weaknesses of the currently proposed scientific model (i.e. evolution on the macro scale). That sort of critique is necessary, and It should be noted that there is no requirement that the critique of a scientific theory must be followed by a scientific model to replace it. In the end, if a unified model of creation never materializes, I maintain that the biblical case stands on it own. Trevor — Please note that your 02-15 post is about Creation in 1a, 2,3,4, and God’s Flood in 1b – two entirely different items. Creation stands by itself, God’s miracle – and you do best to remind people that self-created life is a human belief. Flood Geology is also a belief, but 100% subject to “Test everything” (1 Thessalonians 5:21). Joel is doing that with total objectivity. Hebrews 11:3 tells us that what we see wasn’t from what was previously seen. This was true for Adam & Eve. If people saw trilobites & ammonites pre-Flood, their fossils for sale today can’t be from the Flood. Given half a century and more, “creationists” have not figured out and never will say how a Permian Extinction – just one day in the middle of their Flood scenario – could separate 15,000 trilobite species below and all Mesozoic ammonites above. If anything favored an ICR/AiG scenario, I would tell you. I only recently found this site, so, I missed the start of this slug-fest. Frankly, I would have liked to wade into it early on. I get a kick out of bar-room brawls. Please allow me this set of observations, as a long-time Bible-following Christian, and also Scientist, who has taught College-level Geology and Biology. First, nowhere, nowhere, NO WHERE in Scripture is it stated, or even strongly suggested, that Creation is a mere 6000 years old. No Where, man! That time frame is just a clumsy presumption by nit-pickers who did not know Hebrew idioms and word pictures. Second, the YEC crowd loves going with a tradition among Bible scholars that the primary meaning of any word in Scripture can be found in its first use in Scripture. A nice axiom, but with a SERIOUS problem: how do you know what that first meaning is, aside from (mostly recent)tradition? Lastly, the exact details of the Creation Account are NOT, NOT, NNNNOOOOTTT prerequisites for Salvation or Faith. The only part that is vitally important is this: God created all that was created. I will offer a simple suggestion–simple, if you can hack a bit of Hebrew and Greek: for words such as ‘world’, ‘earth’, ‘deep’ and others in the first couple of chapters in Genesis, look up, then jot down all the many meaning of each. Then, correlate those to what is thoroughly known and researched by modern understanding (science, engineering, etc.). Just take a shot at this for a translation guide. Bet your going to be a little surprised.